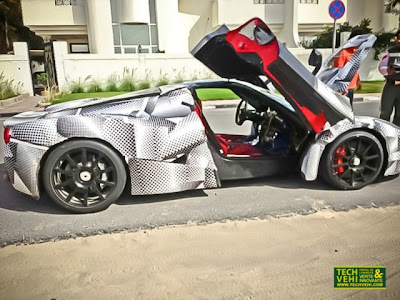 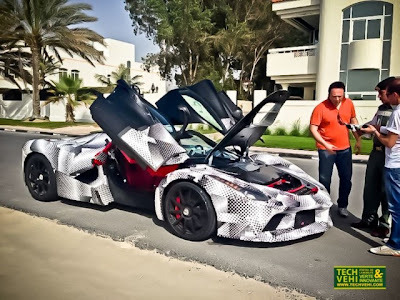 Recently a final production version of the LaFerrari has been spotted in the streets of Dubai. 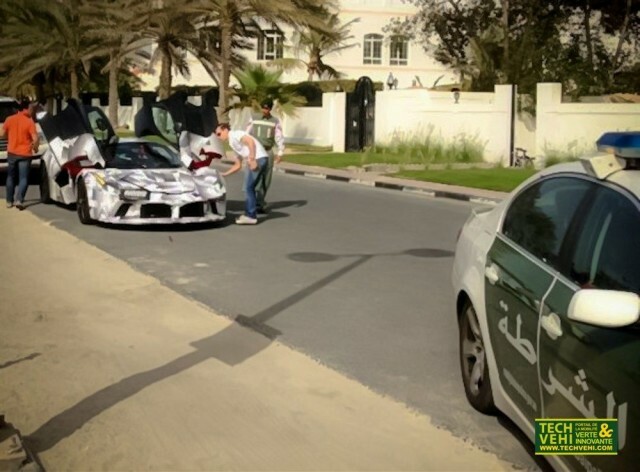 Not sure if it was there for some more testing or to be shown to potential buyers, but the car even with the camouflage didn't went unnoticed to the police. 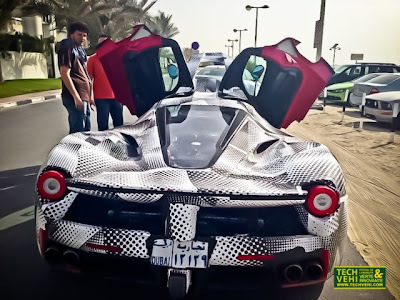 Probably it was an ordinary inspection or just an excuse to stop it to see it closely, this is the very first LaFerrari spotted after its world debut in Geneva back in March, the cops were certainly surprised to see one in the flesh!